The truth is that I don’t really need an office. I need a project room. 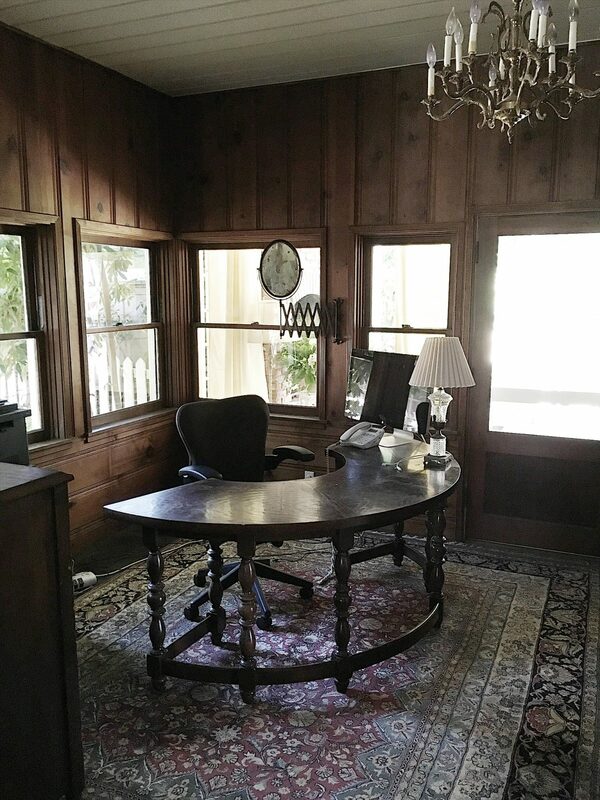 As much as I love my antique captain’s desk, I don’t need a place to sit and work on the computer. I need somewhere where I can be creative and plan my blog posts, complete projects and be inspired! I want a tall work table and lots of light. 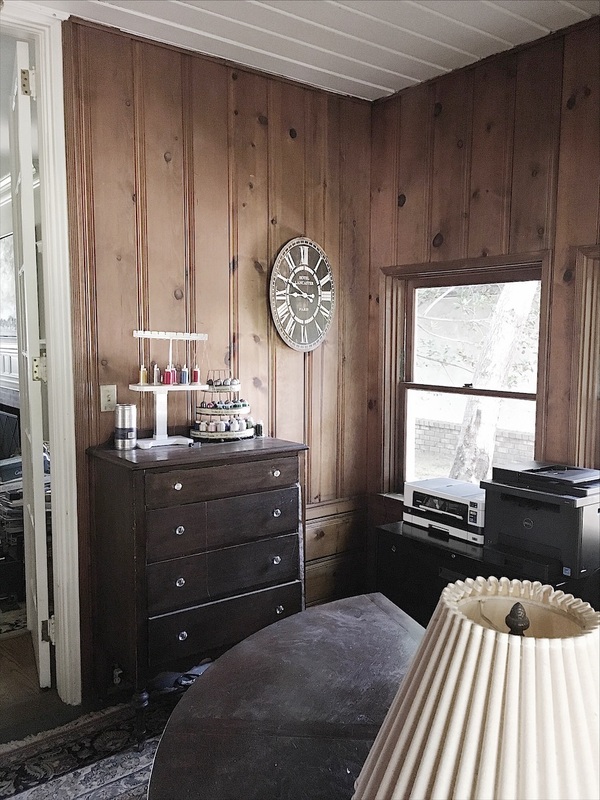 I have been hesitant to do anything to the stained wood walls because they are a hundred and two years old and seemed somewhat pristine. At first, I thought maybe I could strip them down to the natural wood color, but the labor would have been crazy! So until now, I have done nothing. And then I saw this inspiration photo. 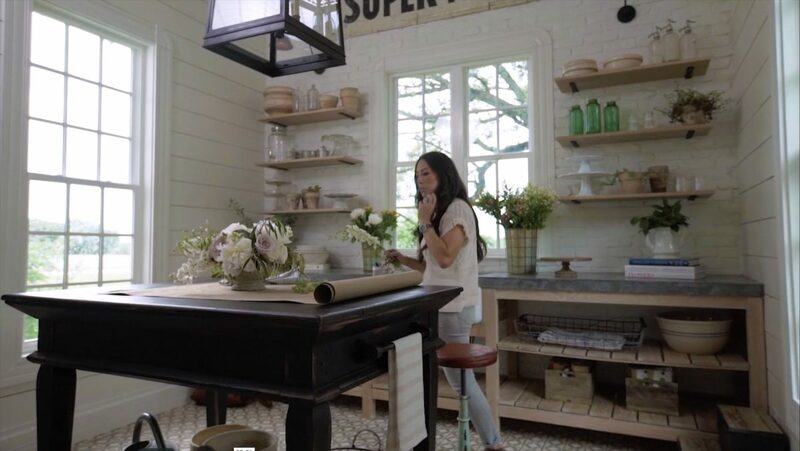 I took a screen shot from a video Chip and Joanna Gaines just released about their home. Once I saw it, I knew this is what my new project room could look like. Of course, my room is smaller and different, but I was so inspired! So the painters were here this week and they made a lot of progress. 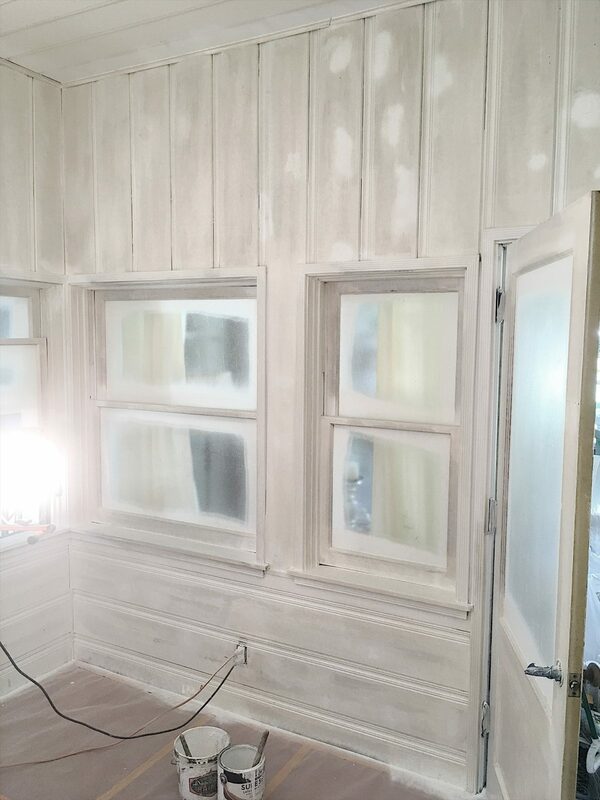 Here are photos as they were priming the walls. I also found a great work table at the Rose Bowl Flea Market. 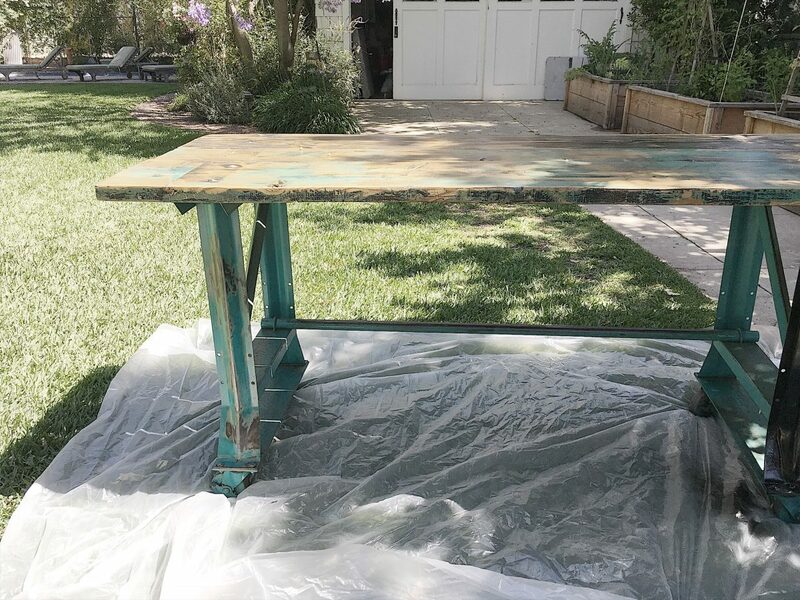 It’s kind of ugly but also has a ton of potential to be a perfect counter height work table. (Did I also mention it was really cheap?) 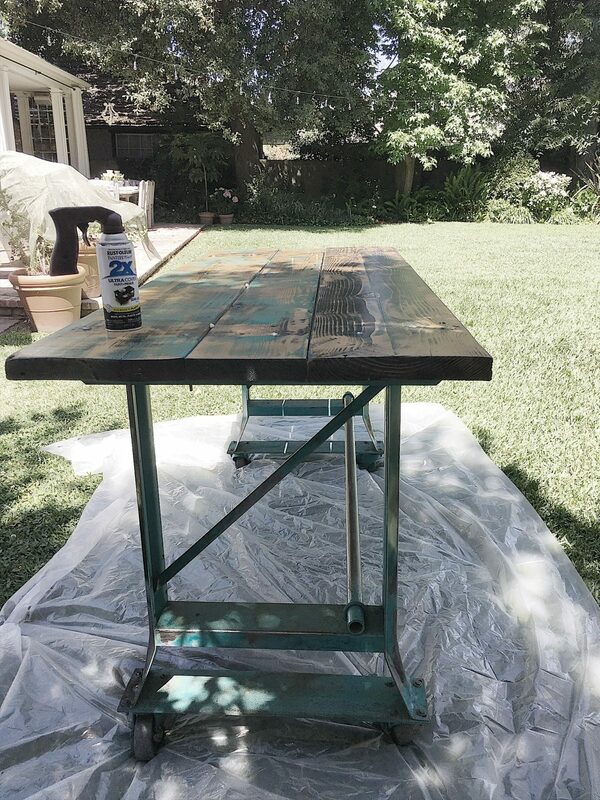 A little paint and lots of sand paper are all I need! 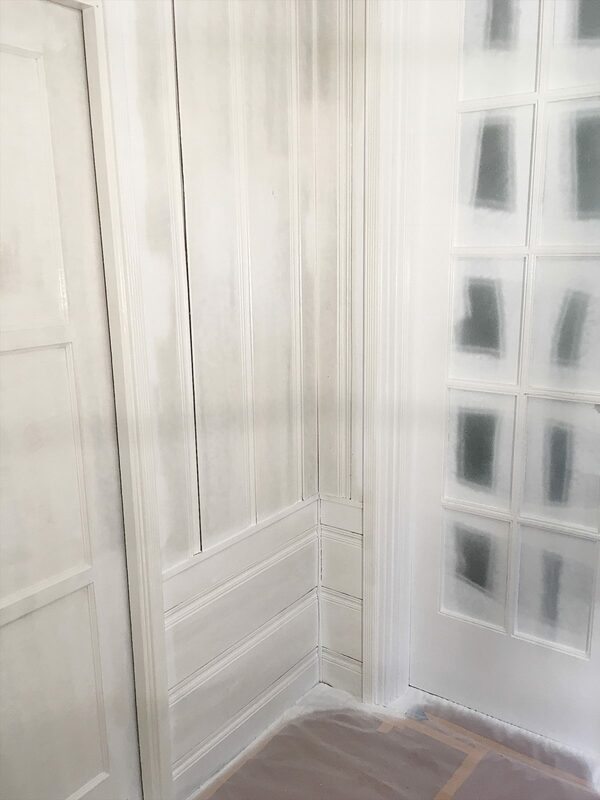 I can’t wait to show you the finished room. It’s amazing.